You won't want to miss QVC this weekend, they have an amazing TSV. 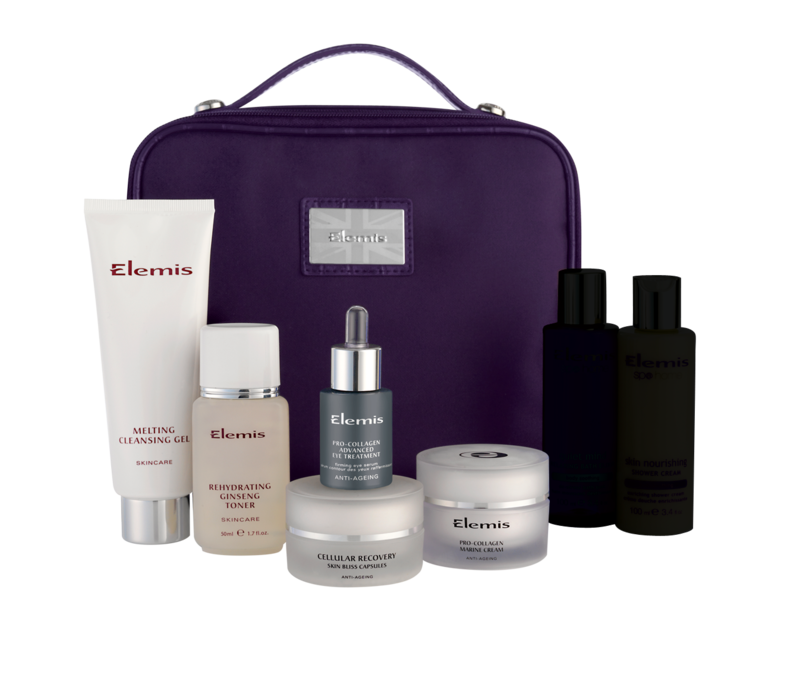 Elemis is delighted to be featuring their New Pro-Collagen Advanced Eye Treatment which isn't due to launch nationwide till July 2012. After the launch of their Pro-Collagen Marine Cream Elemis has launched other products in the Pro-Collagen range which have all been very popular, so there's no guessing the New Pro-Collagen Eye treatment will follow in their footsteps. The texture of the eye treatment is very light, not like a cream or a gel but in fact more like a serum. I've been sampling the eye treatment for just over a week now and so far so good, I will update my thoughts at a later date when I can give an honest review. I normally use a cream but have enjoyed the change and feeling of a cooling serum formulation. I always use an eye treatment/cream day and night and even so more now I'm starting to notice fine lines. + PLUS 2 surprise Elemis Hero Products to be announced on air! I'm already considering buying one of these for Mum as it's her 50th soon and this kit looks fab! Everything you need for a skincare routine, these type of TSVs are the best because you can always spilt the products and keep some for yourself and gift the others to family and friends. There's a guaranteed saving of up to 64%, which is amazing. You won't want to miss out on this so tune in this Sunday 29th April.